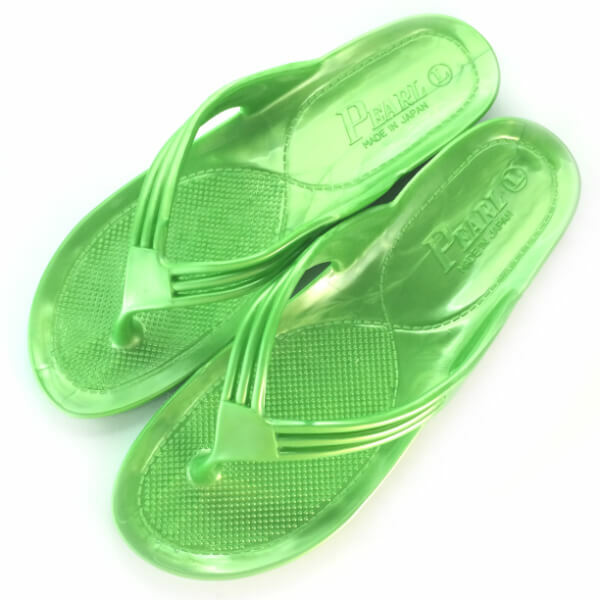 Stylish flip-flops｜GYOSAN｜favorite of Japanese Idol "ARASHI"(Satoshi Ohno) - VECTOP Co., Ltd.
5. 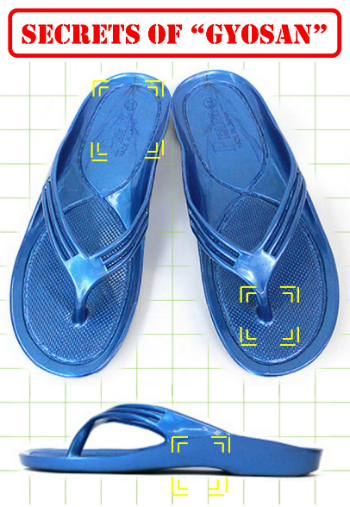 Favorite of Japanese Super Idol Group "ARASHI"
Gyosan are stylish flip-flops “MADE IN JAPAN”. Gyosan have been very popular among Japanese youth since the year 2000. 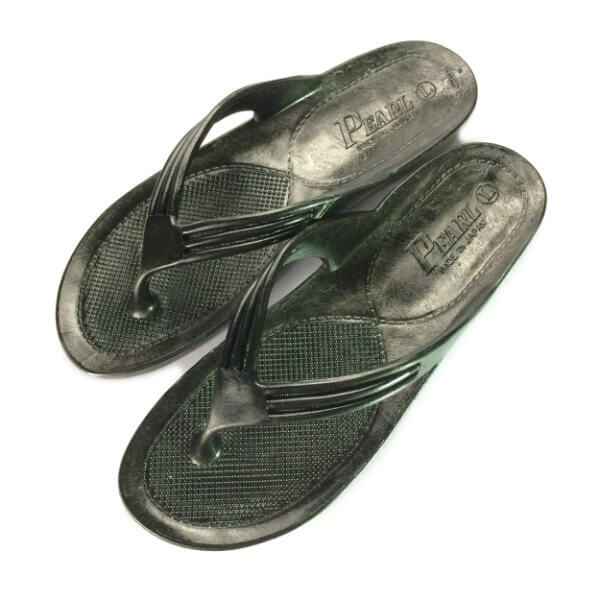 Originally, Gyosan were local sandals worn in Ogasawara islands because their durability and anti-slip effect were loved by local fishermen. Around 2000, Gyosan gained popularity in mainland Japan developing the variety of colors and styles. Gyosan won the favor of Scuba Divers, Surfers, Fishermen, and Hula-dancers. 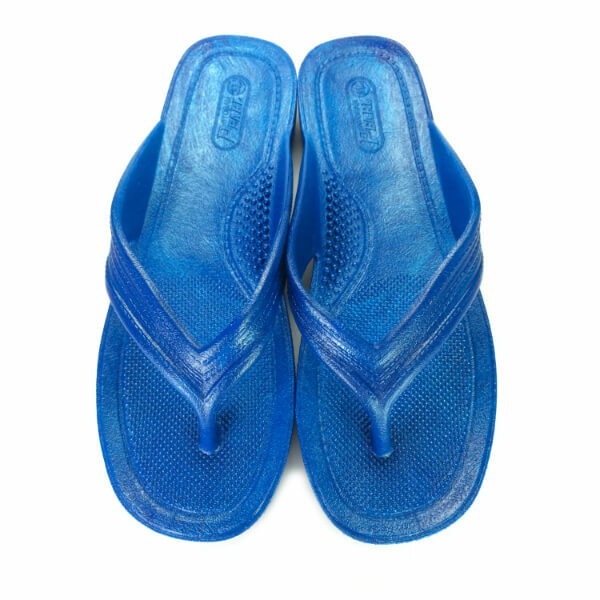 Some celebrities introduced Gyosan as their fashionable footwear, and their reputation spread nationwide. Engraved brand mark of “PEARL” guarantees the quality of “MADE IN JAPAN”. PEARL is the authentic manufacturer of GYOSAN. Gyosan is made of single-piece. 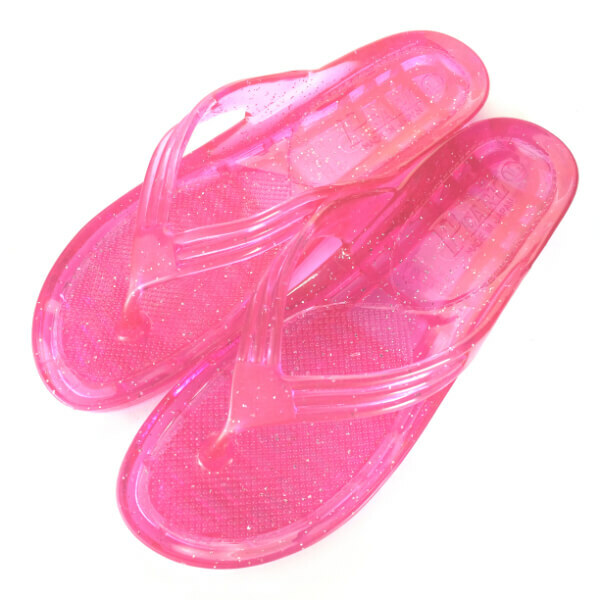 There is NO joint between sole and thong. The durability is second to none. That’s why so many professionals love Gyosan. In 2009, Satoshi Ohno, the leader of the most popular Japanese idol group “ARASHI”, introduced GYOSAN in the famous TV show. That became the breakthrough for GYOSAN. Mr. Ohno is well known as a fishing lover. 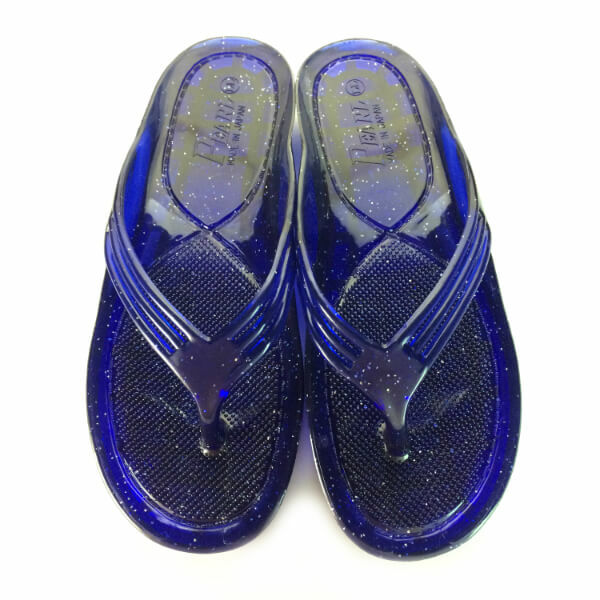 He became fond of GYOSAN personally, and introduced GYOSAN in a famous TV show not only as the fisherman’s sandal, but as the stylish casual footwear. (left) The feedback was immense. Even during the program was still on the air, the phone call for order kept on ringing. The color he wore was sold out in a minute. 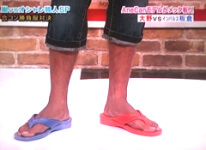 In the other show, Mr. Ohno introduced his original style to wear different colors on each foot. 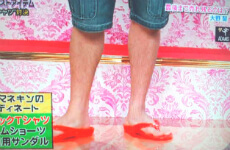 (right) Many fans of ARASHI rushed to get GYOSAN, and followed his style. Mr. Ohno wears GYOSAN even during the concert of ARASHI. GYOSAN is one of the well-known items among fans of ARASHI. The Big Wave of GYOSAN caused by Mr. Ohno overwhelmed over Japan. And the Big Wave is coming out of JAPAN!!! Copyright (C) VECTOP Co., Ltd. All Rights Reserved.